Fast growth. It’s every small company’s dream. But are you ready for the exploding customer demand that comes with growth? 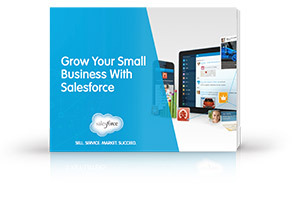 Successful small businesses use Salesforce to keep up with new business. Download the free e-book today and see what you need to get business growing.